Join astrologers John Townley and Michelle Gould for an immersion weekend, exploring both our personal relationship with the heavens and our interpersonal relationships with one another. Each morning, John and Michelle will explore fundamental principles and put forward theoretical frameworks that you can then work with experientially in the afternoons by applying the ideas to your own charts. Saturday morning, we will be looking at planetary cycles, including John’s personal thoughts on the upcoming celestial weather and its potential impact on each of us. Then we will spend the afternoon looking at these same cycles, both by using attendee charts as examples and through mapping the cycles and upcoming hotspots to the natal chart. Sunday, we will move to relationship analysis, with Michelle providing a foundation in the essentials of synastry and John moving us onto composite charts. Again, the afternoon will be used to apply the morning’s principles to your own life and relationships. This workshop aims to move you to a more grounded, experiential understanding of celestial phenomena. It’s designed to provide building blocks for those newer to astrology yet includes innovative ideas and approaches to inspire seasoned astrologers into new directions. John Townley is a renowned astrologer, journalist, record producer and author of many astrology books, including The Composite Charts which introduced this pioneering method for analyzing relationships. 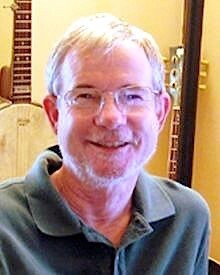 His lifetime maritime and leading-edge music and recording background (he built the first 12-track recording studio) is integrated into his approach to astrology, which is very physical, based on a scaled, tidal/waveform model that sees planetary influences as palpable, environmental phenomena. In this view, the cycles of the planets are the ultra-deep bass and drum tracks of our existence, and we navigate daily the ever-changing ocean of their higher overtones. 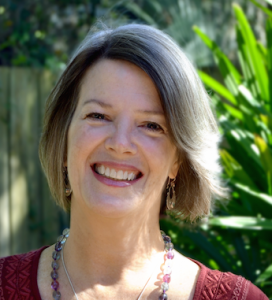 Michelle Gould is an internationally recognized speaker and teacher of astrology who enjoys integrating the best of traditional and modern techniques into her counseling practice. She is a founding member of the Association for Young Astrologers (AYA), an instructor and board member at the Avalon School of Astrology, and a contributor to Moxy Women magazine and AstroDatabank, as well as other regional and national publications. Active in the astrology community, she is Chair of Ethics for the International Society of Astrological Research (ISAR), and an advisor for the Association for Astrological Networking (AFAN). COST: At The Hotel Door: $150.00 Full weekend/$75.00 Single day. A prix fixe lunch menu with assorted healthy sandwich/salad options will be available for pre-order purchase during check-in each day, otherwise there are restaurants nearby or BYO.